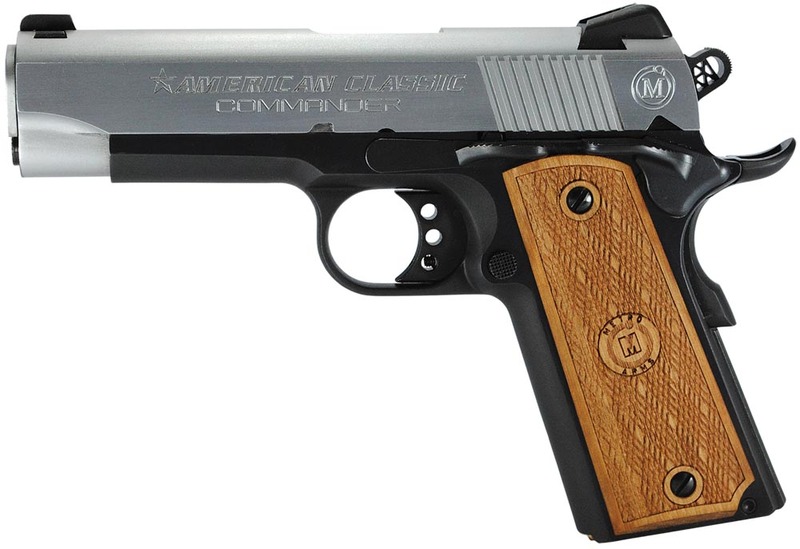 The American Classic 1911 Commander is a single action pistol with a Novak-style rear sight and a dovetail front sight. It features an extended slide stop, a beavertail grip/thumb safety, a combat hammer and trigger, and a forged steel barrel. The grip is constructed of checkered hardwood with diamond cut checkering. This model is chambered in 45ACP and its frame has a blued finish, while the slide has a hard chrome finish.